Srinagar: Asserting that the footprints of global terror outfit ISIS were not large in Kashmir valley, Director General of Police (DGP) Dilbagh Singh, however, said that the fact that a section of the youth were being radicalized on those lines can't be denied. The DGP said an illusion is being created by some elements that ISIS has a very large presence in the valley by waving their flags publically, but that is not true.But the fact that people are being radicalized on those lines can't be denied," he warned. 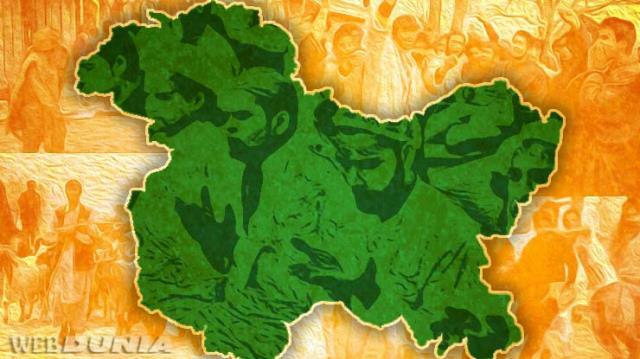 "Very serious activities on the part of anti-national elements to radicalize a sector of youth are going on. Kashmir civil society has been a very open society with a very secular culture, where people extend respect to places of worship,"the DGP told reporters during a press conference. He said Kashmir civil society has been a very open society with a very secular culture, where people extend respect to each other's worship places. But, he said efforts have been made at certain quarters to radicalize the youth and their expressions have been seen in the kind of activities the other day (at Jamia Masjid). Mr Singh was referring to a group of masked men barging into historic Jamia Masjid and waved ISIS flag from the pulpit after Friday prayers. The incident attracted criticism from all sections of society, including religious and political leaders, besides players from business community. The managing committee of the mosque -- the Anjuman Auqaf Jama Masjid -- strongly condemned the incident. "In the past also, carrying those (ISIS) flags and displaying them publically to show that there is very large presence of such elements was being done," he said. Appreciating students from south Kashmir, he said despite bad situation, the students performed extraordinarily in the Class 10th examinations. On law and order situation, the DGP said the situation was by and large peaceful across the state in 2018. "Many good things happened in 2018, but at the same time many bad things also happened,"? he said.He said the thing which is not in good taste is that the number of violent incident in 2018 was more as compared to last year. Hitting out at Pakistan, he said the anti-national elements from across the border continued their activities to disturb peace in the valley. "They (Pakistan) continued to brainwash the youth of the valley and recruit them in the militant ranks. They also continued to send militants from across the Lone of Control (LoC). Infiltration bid was carried out in large scale. At the same time, it was foiled by alert troops from our side," he said. The DGP further said police along with other forces carried out 97 anti-militancy operations in 2018, out of which 83 witnessed no collateral damage while during some operations precious lives were lost. Australian cricketer Usman's brother arrested over "ISIS terror hit list"